Admission open for National Skill Development council (NSDC) Approved Courses. with this motto a group of igniting minds stepped into the world of Education. Vision was to create a race of manpower with the ultimate quality of knowledge. 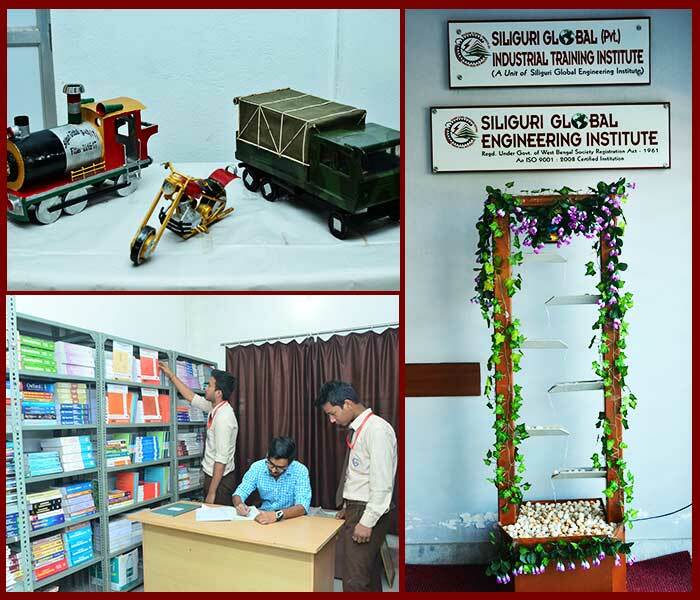 And so in the year 2013 SILIGURI GLOBAL ENGINEERING INSTITUTE (SGEI) was formed as a hub of knowledge and empowerment. Keeping no stones unturned, the institution participated in the technical revolution and formed its ITI named as SILIGURI GLOBAL PRIVATE INDUSTRIAL TRAINING INSTITUTE in the year 2015 as the 1st and only private I.T.I approved by NCVT, Govt. of India in Darjeeling District, and is situated at the most happening city of West Bengal - Siliguri ‘The Gateway Of Northeast’. Subsequently for its performance and dedication SGEI achieved the Partnership at NSDC, (National Skill Development Corporation) Govt. of India in 2018 and got a chance to train and place more and more candidates with Government Certification in technical field and join hands in the SKILL INDIA MISSION. The world of higher education is changing gradually. We live in an age of exposure and value addition, and it takes more than a strong academic qualification to achieve ones fullest potential. We at SGEI offer much more than a degree, with opportunities that cover skill development, interaction with leading academicians and researchers, work experience and internship, extracurricular activities and community volunteering. SGEI earnestly strive to provide the best educational opportunities through quality education in technical field for aspiring youth to excel in life not only by nurturing academic excellence but also by fostering values, creating civic responsibilities & building global competence in a dynamic environment. Put your first step to your Global Career. Study quality and purposeful education.